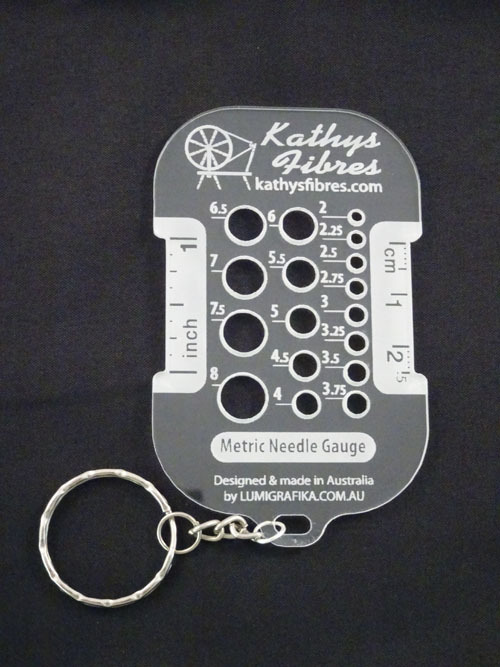 This handy gauge has a needles sizer, is a wraps per inch gauge and ideal for counting your stitches within the space to working out you tension. It has a key ring attachment so that you can attach it to anything you want and therefore not loosing it but keeping it near by just when you need it. Please Note Postage and packaging is $3.45, my cart will over charge you for this but I will refund the over charge.